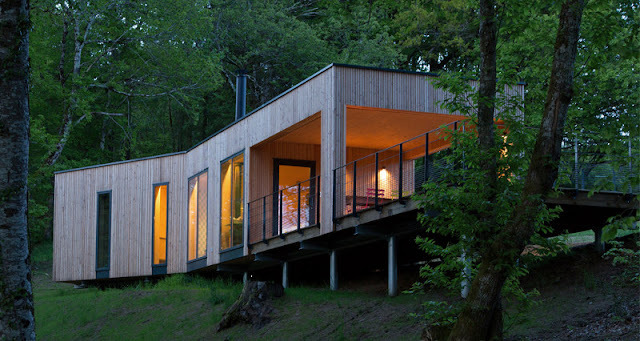 lands at the foot of the Monédières hills, crisscrossed with paths suitable for walking, are 6 cabins perched in the trees, in an innovative style, immersed in nature and overlooking the Dagues stream. 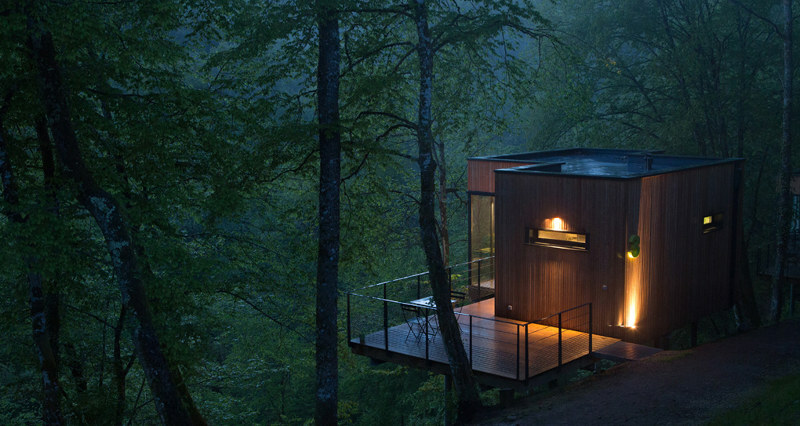 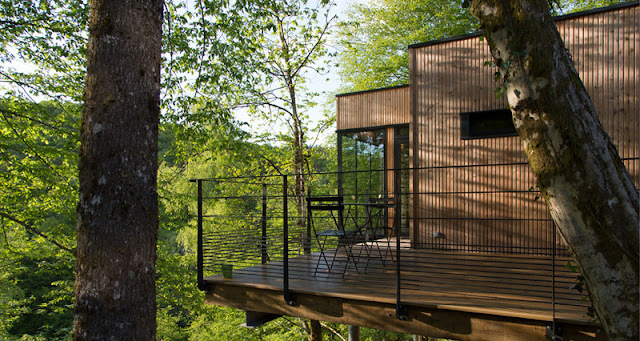 These cabins were designed as perched nests, suitable for observation, meditation and escape. 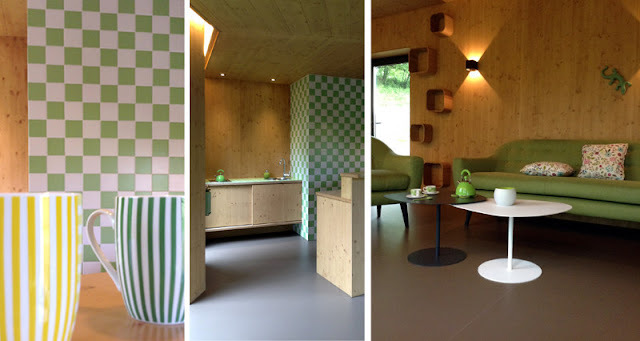 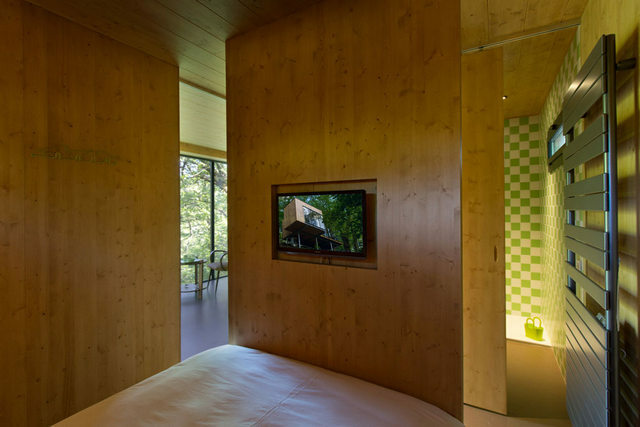 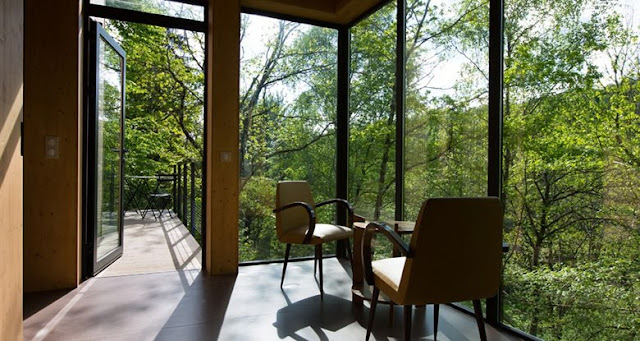 Build using durable materials from the Limousin area, these luxury tree cabins, made of wood and glass, are perfectly integrated into the environment while meeting modern environmental and energy standards."